A few top-tier Indian schools, such as the elite Indian Institutes of Technology (IITs), are often compared with world-class schools, but the American investors and businesses have finally learned the hard way that there is huge gap between the few tier one schools and the large number of tier two and three schools in India. Other than about 5000 graduates from the IITs, the quality of education most Indians receive at tier 2 and 3 schools is far below the norm considered acceptable in America and the developed world. In 2005, the McKinsey Global Institute conducted a study of the emerging global labor market and concluded that a sample of twenty-eight low wage nations, including China, India and Pakistan, had about 33 million young professional in engineering, finance and accounting at their disposal, compared with only 15 million in a sample of eight higher wage nations including the US, UK, Germany, Japan, Australia, Canada, Ireland and South Korea. But "only a fraction of potential job candidates could successfully work at a foreign company," the study found, pointing to many explanations, but mainly poor quality of education. Some India watchers such as Fareed Zakaria, an Indian-American who often acts as a cheerleader for India in the US, have expressed doubts about the quality of education at the Indian Institutes of Technology. In his book "The Post-American World", Zakaria argues that "many of the IITs are decidedly second-rate, with mediocre equipment, indifferent teachers, and unimaginative classwork." Zakaria says the key strength of the IIT graduates is the fact that they must pass "one of the world's most ruthlessly competitive entrance exams. Three hundred thousand people take it, five thousand are admitted--an acceptance rate of 1.7% (compared with 9 to 10 percent for Harvard, Yale, and Princeton)." As a student of Karachi's NED University of Engineering and Technology in 1970s, I had similar assessment of my alma mater (and other UETs) in Pakistan as Zakaria's characterization of the IITs in India. NED Engineering College in 1970s was "decidedly second-rate, with mediocre equipment, indifferent teachers, and unimaginative classwork". However, given the fairly strict merit-based admission process, I found myself mostly surrounded by some of the best, most competitive students who had graduated with flying colors from Karachi's intermediate colleges and ranked very high on the Board of Education examination to make it into NED College. It was indeed the creme de la creme of Karachi's youth who have later proved themselves by many accomplishments in various industries, including some of the leading-edge high-tech companies in America. Even in the 1970s, there were a small number of students admitted on non-merit-based special quotas. NED University today, however, appears to have significantly expanded such special, non-merit-based, quotas for entrance into the institution, an action that has probably affected its elite status, its rankings and the perceived quality of its graduates, while other, newer institutions of higher learning have surpassed it. Some of the special categories now include sons and daughters of employees, children of faculty and professional engineers and architects, special nominees from various ministries and an expanded quota for candidates from rural areas and the military. Looking at the top 500 universities in the world, one can see a few universities from China, Japan, Singapore and India and a few more from Muslim nations such as Malaysia, Indonesia, Turkey, Iran and Pakistan. The notable institutions from South Asia include several campuses of the Indian Institutes of Technology and Pakistan's National University of Science and Technology (NUST), University of Lahore, Karachi University and Lahore's University of Engineering and Technology. Many new universities are now being built in several Muslim nations in Asia and the Middle East, and they are attracting top talent from around the world. For example, King Abdullah University of Science and Technology (KAUST), scheduled to open on Sept. 23, is the country's attempt to create a world-class research university from scratch. It's hiring top scholars from all over the world. "Our goal is to kick-start an innovation-based economy," says Ahmad O. Al-Khowaiter, the university's vice-president for economic development. "We need a couple of success stories, and we think this will lead to one (collaboration with IBM Research)." According to Businessweek, KAUST agreed to buy an IBM supercomputer, which is an essential tool in the research projects that IBM and the Saudis are targeting for their first collaboration. Among other things, the two teams will collaborate on a study of the nearby Red Sea, which they believe will help improve oil and mineral exploration. "[The supercomputer] is a magnet for smart people, and it makes it possible for us to solve big problems," says Majid F. Al-Ghaslan, KAUST's interim chief information officer. An MIT survey of human resource professionals at multinational corporations in India revealed that only one quarter of engineering graduates with a suitable degree could be employed irrespective of demand (Farrell et al., 2005). Another survey of employers shows that only a handful of the 1400 engineering schools in India are recognized as providing world-class education with graduates worthy of consideration for employment (Globalization of Engineering Services, 2006). These results suggest that engineering degrees from most Indian colleges do not provide signaling value in the engineering labor market. Hence, low quality (in the labor market sense) engineering schooling has come to predominate in the education market. 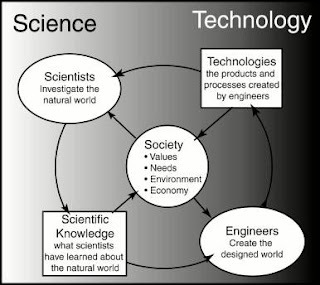 The current situation, with an abundance of low quality engineering schooling, is considered problematic by many in the Indian polity and it could stifle growth of the Indian economy (Globalization of Engineering Services, 2006). For the first time in the nation's history, President Musharraf's education adviser Dr. Ata ur Rahman succeeded in getting tremendous focus and major funding increases for higher education in Pakistan. According to Sciencewatch, which tracks trends and performance in basic research, citations of Pakistani publications are rising sharply in multiple fields, including computer science, engineering, mathematics, material science and plant and animal sciences. Over two dozen Pakistani scientists are actively working on the Large Hadron Collider; the grandest experiment in the history of Physics. Pakistan now ranks among the top outsourcing destinations, based on its growing talent pool of college graduates. As evident from the overall results, there has been a significant increase in the numbers of universities and highly-educated faculty and university graduates in Pakistan. There have also been some instances of abuse of incentives, opportunities and resources provided to the academics in good faith. The quality of some of the institutions of higher learning can also be enhanced significantly, with some revisions in the incentive systems. Admission meritocracy, faculty competence and inspirational leadership in education are important, but there is no real substitute for higher spending on higher education to achieve better results. In fact, it should be seen as an investment in the future of the people rather than just another expense. Of the top ten universities in the world published by Times of London, six are in the United States. The US continues to lead the world in scientific and technological research and development. Looking at the industries of the future such as nanotechnology, biotechnology, green technologies, the US continues to enjoy a huge lead over Europe and Asia. The reason for US supremacy in higher education is partly explained by how much it spends on it. A 2006 report from the London-based Center for European Reform, "The Future of European Universities" points out that the United States invests 2.6 percent of its GDP in higher education, compared with 1.2 percent in Europe and 1.1 percent in Japan. I agree with most of the points you mentioned. The respect and awe IITs get is more due the amazing brilliance of the students and less to do with the institution. But, I'd like to point out that things are changing in India with times. The Indian govt is on its way to pass the Right to Education Bill and it'll make a huge number of Indians poor or not to get basic education. So, the system in India is fixing itself. You also forget to mention IIMs which are widely considered one of the best business schools in the world and in quality they are better than IITs.. In all fairness you should give some lines on how India is working on it and how its system is working to fix all the problems that has plagued it.. its just a suggestion.. Please help me with the sources and content of info re Indian efforts to improve higher education. I'd be happy to write about it. I fully agree with your conclusions about NED (and other institutions of higher learning as well) of earlier days that it attracted GEMS but these GEMS were never cut to perfection. Poor quality education; An education system that is deserving of a free and independent country was never realized. People are basically smart but could never refine their skills in the profession of their choosing. Very good article with reliable fact sources on a very important subject for us, that is the quality of higher education in Pakistan/South Asia. Keep up the good work of sharing info with us. And hope is that most of the very many successful Pakistanis / NEDians can do something about it. What we need is an awareness here amongst Pakistanis and mainstream media in Pakistan about these issues. Again, thanks for writing and disseminating info on this so that more and more folks are aware of the challenges we face to develop the economy and by extension a viable social and human development in that part of the world. WE can take tamil nadu as an example. Every politician worth his name has an engineering college. They had developed so much capacity without demand. I understand that there are 20000 to 30000 seats which are available as management quota is being surrendered. However there might be many state where the suppply could be more than the demand. However there is no central authority through whom a student could apply as education is a state subject. our government is try hard to improve the level of education in Pakistan and this is what our Finance minister Shaukat Tareen has asked just recently to US to take care and supervise our education system. you can find it here.. Eight years ago, a task force advising Pakistan's former military ruler, General Pervez Musharraf, laid out a bold plan to revitalize the country's moribund research system: initiate a fivefold increase in public funding for universities, with a special emphasis on science, technology and engineering. The proposal was a radical departure from conventional wisdom on the economics of developing nations, which favours incremental investments. Sudden surges of cash are held to be dangerous in poorer countries, which often lack the institutions or the calibre of people required to make the most of such a windfall, and the money can easily be wasted or fall prey to corruption. Nonetheless, Musharraf agreed to the proposal. The reforms began in 2003. And the results, which have now earned a qualified thumbs-up from a group of experts in science and education policy (see page 38), offer some valuable lessons for other developing nations. First, conventional wisdom isn't always right. Despite early doubts that Musharraf's autocratic regime could allocate the new funds effectively, the experts cite initiatives such as a free national digital library and high-speed Internet access for universities as examples of success, as well as new scholarships enabling more than 2,000 students to study abroad for PhDs — with incentives to return to Pakistan afterwards. And they acknowledge that the years of reform have coincided with increases in the number of Pakistani authors publishing in research journals, especially in mathematics and engineering, as well as boosting the impact of their research outside Pakistan. Second, human capital matters. One concern raised by the report published in this issue is that the 3,500 candidates for Pakistan's new domestic PhD programmes have had lower qualifications than the candidates going abroad. But that is a situation that should correct itself over time as Pakistan's schools improve. For the time being, the more important point is that Pakistan has opened up the chance of a research degree to many more people than in the past — including those who do not have wealthy families, or access to influential people, or good skills in European languages. Harnessing those reserves of talent is an integral part of any nation's development. Finally, accountability is essential. This was not a priority for the architects of Pakistan's educational reform, partly because they were working for an autocratic regime, and partly because they were in too much of a hurry. The government seemed to be living on borrowed time, Musharraf's science adviser, Atta-ur-Rahman, has recalled. On the one hand, politicians, judges and lawyers were pressing for a return to democracy; on the other, the influence of the Pakistani Taliban was increasing. Suicide bombers twice tried to assassinate Musharraf — once by blowing up his motorcade as he returned from making a speech to scientists. If the reformers didn't get their programme in place quickly, they feared they might not get it in place at all. The result, however, is that the body created to implement the reforms, the Higher Education Commission, has operated with minimal oversight by academics, parliamentarians or anyone else. There has been some waste, although no one has yet accused the commission of egregious abuses of power. But it has exhibited blind spots that an outside influence might have corrected — notably a total lack of investment in the social sciences and policy research, disciplines that encourage the asking of questions that autocratic regimes frequently dislike answering. This must change. Pakistan is no longer a dictatorship. The elected government, under President Asif Ali Zardari, has expressed cautious support for continuing Musharraf's education reforms. It therefore has an opportunity to build on their successes and correct their shortcomings — starting with an independent review of the commission's performance. For decades, foreign universities have been an integral part of India's higher education. Whiz kids across the country with the financial means have left for highly regarded global universities to study. Many never return, taking both their tuition money and their talent overseas. More than 160,000 students are currently studying in schools in the U.S., Australia, Britain and elsewhere. Over 100,000 pack up and head to study abroad every year, spending $7 billion on tuition and housing. But what if big foreign universities like Yale, MIT, Stanford, Columbia Business School and the London School of Economics could set up campus in India? India's new Minister for Human Resource Development, Kapil Sibal, wants to make that happen. Sibal intends to have new laws in place by next July that would open up India's heavily regulated educational system to foreign players, with a goal of building a skilled pool of local managers and workers to help run an economy that continues to grow at a rate of 6.7%. Sibal also intends to make this new wave of higher education accessible to a larger swath of students, having foreign schools reserve over a quarter of their seats for India's economically disadvantaged. "If India wants to be a world-class educational hub, then we need access to global institutions," said Sibal early in July. I would take these rankings with a large helping of salt. Germany is conspicuous by its absence as is Russia but australia has 7 entries.Why? Because in Germany major research is done in Max Plak and Fraunhoffer institutes even most of continental europe is absent due to similar reasons. China devotes significant resources to building a world-class education system and pioneering research in competitive industries and sciences, and has had notable successes in network computing, clean energy, and military technology. But a lack of integrity among researchers is hindering China’s potential and harming collaboration between Chinese scholars and their international counterparts, scholars in China and abroad say. Pressure on scholars by administrators of state-run universities to earn journal citations — a measure of innovation — has produced a deluge of plagiarized or fabricated research. In December, a British journal that specializes in crystal formations announced that it was withdrawing more than 70 papers by Chinese authors whose research was of questionable originality or rigor. In an editorial published earlier this year, The Lancet, the British medical journal, warned that faked or plagiarized research posed a threat to President Hu Jintao’s vow to make China a “research superpower” by 2020. “Clearly, China’s government needs to take this episode as a cue to reinvigorate standards for teaching research ethics and for the conduct of the research itself,” the editorial said. Last month a collection of scientific journals published by Zhejiang University in Hangzhou reignited the firestorm by publicizing results from a 20-month experiment with software that detects plagiarism. The software, called CrossCheck, rejected nearly a third of all submissions on suspicion that the content was pirated from previously published research. In some cases, more than 80 percent of a paper’s content was deemed unoriginal. The journals’ editor, Zhang Yuehong, emphasized that not all the flawed papers originated in China, although she declined to reveal the breakdown of submissions. “Some were from South Korea, India and Iran,” she said. The journals, which specialize in medicine, physics, engineering and computer science, were the first in China to use the software. For the moment they are the only ones to do so, Ms. Zhang said. Her findings are not surprising if one considers the results of a recent government study in which a third of the 6,000 scientists at six of the nation’s top institutions admitted they had engaged in plagiarism or the outright fabrication of research data. In another study of 32,000 scientists last summer by the China Association for Science and Technology, more than 55 percent said they knew someone guilty of academic fraud. Some of India’s most respected scientists are accused of covering up wrongdoing by others. Not surprisingly, not everybody is happy with the SSV’s efforts. One scientist derisively calls it a “self-appointed watchdog” while another likens it to Don Quixote, charging at imaginary windmills. Yet the evidence is out in the open. Physicist K.R. Rao, associate editor of Current Science, a peer-reviewed research journal published by the Indian Academy of Sciences, Bangalore, says he has detected 80 cases of plagiarism — major and minor — in articles submitted to the journal in recent years. Earlier this year, chemistry professor P. Chiranjeevi at the Sri Venkateswara University, Tirupati, was punished for copying from others’ research. Repeated attempts to reach him failed, but a member of the investigating committee says Chiranjeevi denied any wrongdoing when he appeared before it. The committee indicted him, and Chiranjeevi was barred from holding administrative posts or taking new research students. In October last year, a team of materials scientists from Anna University, Chennai, and the Indira Gandhi Centre for Atomic Research, Kalpakkam, was found to have published a paper on ionic conductivity that was a copy of a previous paper by a Swedish team. But the one who hit the headlines was Raghunath Mashelkar, former director general of the Council of Scientific and Industrial Research. In March 2007, Mashelkar admitted in a letter to the SSV that sections of a book he had co-authored on intellectual property rights had reproduced verbatim material from a paper by a British scholar without crediting him. “…I am highly embarrassed by this and I have decided to take some hard actions,” he wrote. He said he would stop further editions of the book and not take any personal gains from it. A few months earlier, the US Journal of Biological Chemistry (JBC) retracted a research paper by Gopal Kundu and his colleagues at Pune’s National Centre for Cell Science (NCCS). Kundu was accused of using the same data or images relating to proteins in two unconnected articles submitted to the journal. Kundu holds there was “absolutely no wrongdoing” by his team. He says another international journal has accepted the data. But the authorities are still wary of confronting such accusations. Three committees, for instance, looked into the Kundu affair. A seven-member panel of top scientists exonerated him despite JBC’s withdrawal of the paper. Panel chairman G. Padmanaban says the journal’s decision was not “wrong”, but “harsh”. The inconsistency between the Padmanaban committee’s views and JBC’s decision to withdraw Kundu’s paper has prompted some scientists to take the issue up. Rahul Siddharthan, a physicist and computational biologist at the Institute of Mathematical Sciences, Chennai, says he stepped into the controversy with “a sense of deep indignation” at the way the committee decided to dispose of the case. He says the duplication — intentional or unintentional — of images is so “blatantly obvious” that he cannot understand how a top scientists’ committee can dismiss the charges. Some scientists at Lucknow’s Central Institute of Medicinal and Aromatic Plants have complained to the SSV that their director, Suman Preet Singh Khanuja, has been claiming credit for too many research papers. Since he took over as director in 2001, Khanuja has published more than 140 papers and staked his claim to at least 40 patents. Some question how a director can find time to produce on an average 20 research papers a year. A large number of the papers appeared in a journal produced by his institution and of which he is the chief editor. .... the students I met and taught reveals more mysteries. Some had serious problems with English, particularly in their writing, but most were extremely well prepared as far as language skills were concerned. It is when we look beyond language skills that puzzles begin to appear. What was most startling was the realization that these students were palpably uncomfortable with abstract concepts and what people in Education Schools call ‘critical thinking skills.’ When I raised this point to faculty and alumni, every one without exception acknowledged the problem, and pointed to the system of secondary education as the culprit. Undoubtedly the point is correct, but I think there is a deeper observation to be made here. In addition to being uncomfortable with abstract concepts, these students and their families seem to be uncomfortable with the idea of knowledge that is not justified by an immediate practical application. That discomfort extends to a reluctance to embrace basic scientific research as well as the humanities. I heard from students who wanted to study theoretical physics whose parents insisted that they become engineers; students who wanted to become historians whose parents did not see the point. The same attitudes exist in other places to be sure, but among my Pakistani students it seemed almost universal. Part of the reason for this discomfort with abstraction may have to do with a curiously limited range of background knowledge. My students – many of whom, again, had graduated from the finest schools – knew almost literally nothing of non-Pakistani history and culture. The reason is not that Pakistan is culturally isolated – far from it. At one point I found myself confronted by a room full of students who had an exhaustive knowledge of the movies that were Oscar candidates last year, but among whom the vast majority had never heard of Beethoven’s 9th Symphony. In general, students had no idea – not even a wrong idea! – about the significance of the French Revolution or World War I, the history of nationalism and empires, the contents of the Book of Genesis, the Scientific Revolution or the Renaissance. Again, when I pressed students, faculty members and alumni, the answer was always the same: the fault lies with the secondary school curriculum, and particularly the fact that during General Zia ul Haq’s rule secondary school curricula were shifted to emphasize Pakistan Studies and Islam at the expense of everything else. Again, that can only be a very partial explanation. But it is worth noting that this lack of cultural literacy helps feed the culture of conspiracy theories for which Pakistan is justly famous. But what happens once these students get to college? I saw and heard about fine courses in Shakespeare and Islamic Jurisprudence, but when it comes to the social sciences it appears that the students who learn anything about these subjects at all (that is, those who choose to take courses outside of Accounting and Finance) are fed a steady diet of snippets of readings and excerpts from trendy current theories. Many students could and were eager to could talk fluently about Edward Said, Noam Chomsky, and (rather weirdly) Nazi Germany, but Locke and Rousseau, Machiavelli and Madison, Cromwell and Marx were all equally unknown territory. Undoubtedly, at this point I will be accused of Western ethnocentricism; how many American college students know the names of the first four Moghul Emperors? PANTNAGAR, India — The Nagla elementary school in this north Indian town looks like many other rundown government schools. Sweater-clad children sit on burlap sheets laid in rows on cold concrete floors. Lunch is prepared out back on a fire of burning twigs and branches. But the classrooms of Nagla are a laboratory for an educational approach unusual for an Indian public school. Rather than being drilled and tested on reproducing passages from textbooks, students write their own stories. And they pursue independent projects — as when fifth-grade students recently interviewed organizers of religious festivals and then made written and oral presentations. That might seem commonplace in American or European schools. But such activities are revolutionary in India, where public school students have long been drilled on memorizing facts and regurgitating them in stressful year-end exams that many children fail. Outside of India, many may consider the country a wellspring of highly educated professionals, thanks to the many doctors and engineers who have moved to the West. And the legions of bright, English-speaking call-center employees may seem to represent, to many Western consumers, the cheerful voice of modern India. But within India, there is widespread recognition that the country has not invested enough in education, especially at the primary and secondary levels. In the last five years, government spending on education has risen sharply — to $83 billion last year, up from less than half that level before. Schools now offer free lunches, which has helped raise enrollments to more than 90 percent of children. But most Indian schools still perform poorly. Barely half of fifth-grade students can read simple texts in their language of study, according to a survey of 13,000 rural schools by Pratham, a nonprofit education group. And only about one-third of fifth graders can perform simple division problems in arithmetic. Most students drop out before they reach the 10th grade. Narayana Murthy, a friend of Mr. Premji and chairman of Infosys, a company that competes with Wipro, said he admired the Premji Foundation’s work but worried it would be undermined by the way India administers its schools. Mr. Premji says his foundation would be willing to work with private schools. But he argues that government schools need help more because they are often the last or only resort for India’s poorest and least educated families. Mr. Premji, whose bright white hair distinguishes him in a crowd, comes from a relatively privileged background. He studied at a Jesuit school, St. Mary’s, in Mumbai and earned an electrical engineering degree at Stanford. At 21, when his father died, Mr. Premji took over his family’s cooking oil business, then known as Western Indian Vegetable Product. He steered the company into information technology and Wipro — whose services include writing software and managing computer systems — now employs more than 100,000 people. He remains Wipro’s largest shareholder. After visitors left a classroom at Nagla school, an instructor began leading more than 50 fifth-grade students in a purely rote English lesson, instructing the students to repeat simple phrases: Good morning. Good afternoon. Good evening. Good night. The children loudly chanted them back in unison. Underfunding is pervasive in the district. But so are glimmers of the educational benefits that might come through efforts like the Premji Foundation’s. Policy makers are responding to reports that students in the United States on average scored lower than their peers in 16 out of 30 other wealthy industrialized nations on an international science exam, predictably arguing that the U.S. performance on the test (the Programme for International Student Assessment) indicates that U.S. students cannot compete in the international workforce. But a recent analysis from the Urban Institute previously discussed on Science Progress suggests otherwise. Talking about “competitiveness” makes it easy to gloss over inequities in the educational system connected to race and class. In the Urban report, Into the Eye of the Storm, Harold Salzman and B. Lindsay Lowell acknowledge that policy makers often cite the results from PISA and TIMSS, another international exam, “supposedly showing U.S. students lagging the performance of most other countries.” But using the results to make such sweeping comparisons “stretches the PISA far beyond its appropriate or even intended use.” They go on to make several critical points about the test. What does one infer from comparing the average test score in a nation of over 300 million with that of a nation of 4.5 million (Singapore) or using educational performance as an indicator of economic performance? We would expect India’s 39 percent illiteracy rate and its secondary school enrollment rate of less than 50 percent (World Bank 2007) to make it an inconsequential global power. Of course, that is not the case because rather than average performance it is the small percentage of high performers in a nation of 1 billion that is the more important indicator of its relative science and engineering strength. The use of average rates across a diverse group of nations and diverse populations is of limited use in drawing conclusions about global standing economically or educationally. As I've noted before reforms in education will take a long time to bear fruit and it is important that those reforms include the earliest school years as that will impact the education of students in the later years. But what are the issues in Qatar's educational system? If you search my blog for PISA you'll find a few posts from last year that discuss the issue, one of which noting in detail some of the things I heard from both teachers and Qataris about how schooling works in the public sector, and it is definitely an eye-opener. That can't be the full story though. It was not only Qataris that were tested, students in the various private schools were also tested and Qatar has a large number of private schools: Indian curriculum, British curriculum, Pakistani curriculum American curriculum, French curriculum, even a Canadian school. I also don't think Qataris make up the majority of students in the country anymore given that Qataris only make up about 15% of the population, I speculate they are around 30% of the students due to the high birthrates amongst Qataris as well is the fact that many of the ex-pat workers do not have their families here. PISA likely tested students from all backgrounds. Yet Qatar scored far lower than all of the OECD countries, and scored lower than other Arab nations such as Jordan and Tunisia. But if many of these kids went to private schools on Western curriculums one would have thought that at least a portion of the students would've scored around the levels of their home countries (unfortunately India, Pakistan, and major Arab countries like Egypt didn't participate in the PISA study so we have no idea how well those curriculums would do). This would imply that the public school students would've on average scored even lower than the Qatar average would suggest. While I have no data to back it up I can't believe that would be true -- Qatar public schools would have to be some of the worst on the planet for that to be right! The schools may have a number of issues based on what I've been told but I have met many Qataris and their education is certainly not that bad. ISLAMABAD: Parliament’s revenge against the Higher Education Commission (HEC) for its laudable role in identifying the fake degree holding MPs will not only destroy the higher education structure, built in decades, but also threatens huge and committed $550m (Rs47 billion) in foreign assistance. Informed government sources told The News that the USAID had hinted on Friday of keeping on hold the committed $250 million assistance under the Kerry-Lugar Act to establish three centres of excellence besides pursuing certain other potential goals for higher education development in the country. Already, the World Bank, which has only recently approved $300 million soft loan for the HEC to support its various programmes for the next five years, has verbally told the commission’s bosses to wait as the Bank is unsure about the future of the HEC. The sources said that the USAID, in its communication with the HEC officials, has indicated of not doing the cost reimbursement PIL for the next six months because of a meeting the USAID had with the Economic Affairs Division, which has told the American agency that the HEC is going to be devolved. Out of the $250 million, so far only $45 million has been transferred to the HEC by the USAID, which had agreed to hand over to the HEC all the education related programmes handled by the US Financial Assistance Development (FAD) programme. Now for the HEC officials, all the committed US aid for the HEC is frozen. The sources said that under the USAID assistance programme, the HEC had designed to set up three centres of excellence (CoE), including the CoE in water resource at the Mehran University of Engineering and Technology, the CoE in food security at the University of Agriculture, Faisalabad, and the CoE in energy at the University of Engineering and Technology, Peshawar. Already, as reported, the Higher Education Commission (HEC) would lose 300 million dollars of loan approved by the World Bank (WB) to support its various programmes for the next five years. According to the report, the $300 million equivalent credit was supposed to finance the government’s tertiary education development programme. It is said that the loan deal would automatically come to an end after the devolution of the HEC due to some legal implications. “There is a clause in the agreement between the WB and HEC that any change in the legal status of the HEC would end the agreement at once,” the reporter quoted HEC Executive Director Dr Sohail Naqvi as saying. This is a soft loan. The HEC is facing the wrath of the parliamentarians after it had refused to accept any pressure for the verification of the MPs’ degrees, more than 50 of which have already been declared invalid whereas above 200 degrees were termed suspected. The federal and provincial governments and members of parliament and provincial assemblies exerted all sorts of pressure on the HEC to stop it from the verification work but to no avail. Later, more than 200 MPs refused to cooperate despite the apex court’s decision, refusing to provide to the HEC or the universities concerned the details of their qualification certificates and degrees to stop their verification by the HEC. In its meeting on March 28, 2011, the federal cabinet, instead of devolving all functions of the Education Ministry, decided to retain several of them at the federal level by assigning these functions to different ministries and divisions like the cabinet and foreign ministry. Business executives say schools are hampered by overbearing bureaucracy and a focus on rote learning rather than critical thinking and comprehension. Government keeps tuition low, which makes schools accessible to more students, but also keeps teacher salaries and budgets low. What's more, say educators and business leaders, the curriculum in most places is outdated and disconnected from the real world. Muddying the picture is that on the surface, India appears to have met the demand for more educated workers with a quantum leap in graduates. Engineering colleges in India now have seats for 1.5 million students, nearly four times the 390,000 available in 2000, according to the National Association of Software and Services Companies, a trade group. Another survey, conducted annually by Pratham, a nongovernmental organization that aims to improve education for the poor, looked at grade-school performance at 13,000 schools across India. It found that about half of the country's fifth graders can't read at a second-grade level. 1. With a PISA reading score of 500, US kids outperformed those in Germany( 497), France (496) and UK (494). 2. Based on PISA reading scores as analyzed by Steve Sailer, US Asians (score 541) are just below Shanghai students (556), US whites (525) outperform all of their peers in Europe except the Finns, and US Hispanics (466) and US Blacks (441) significantly outperform kids in dozens of countries spread across Asia, Latin America and Middle East. 3. The only data available for India is 2003 TIMMS on which they ranked 46 on a list of 51 countries. Their score was 392 versus avg of 467. They performed very poorly. It was contained in a report titled "India Shining and Bharat Drowning". A report on the state of Indian education, the largest study of the country’s rural children, makes for grim reading. India’s schools are in bad shape, and not getting any better. Maths ability is declining, and reading is way below where it should be. The Annual Status of Education Report 2010, prepared by Pratham, an education non-governmental organisation supported by many of India’s top companies, has a blunt message. School enrolment is up but quality is unacceptably low. Inadequate state provision is fuelling the expansion of private education, which India’s largely poor people can ill-afford. 1. 96.5 per cent of children in the 6 to 14 age group in rural India are enrolled in school. While 71.1 per cent of these children are enrolled in government schools, 24.3 per cent are enrolled in private schools. 3. There has been a decrease in children’s ability to do simple mathematics. The proportion of Standard 1 children who could recognise numbers from 1-9 has declined. 4. After five years of schooling, close to half of children are below a level expected after just two years of formal education. Half of these children cannot read. Only one child in five can recognise numbers up to 100. 5. Toilets were useable in only half the 13,000 schools surveyed. Teacher attendance was 63 per cent, lower than pupil attendance. Kapil Sibal, the new education minister, has breathed some life into a portfolio left moribund by his elderly predecessor Arjun Singh. But lately, Mr Sibal, a lawyer, has been seconded into the telecommunications ministry to clean up a mess surrounding the controversial award of new 2G licences that may have cost the exchequer as much as $39bn. There are few more important challenges in India than improving its schools. Not for the first time ineptitude and greed at the top are robbing India’s young of resources. under the sheen of power, there is a failure barely sensed by the man who owns that failure along with his expensive accoutrements. This was Arindam Chaudhuri’s situation when I first met him in 2007. He had achieved great wealth and prominence, partly by projecting an image of himself as wealthy and prominent. Yet somewhere along the way he had also created the opposite effect, which—in spite of his best efforts—had given him a reputation as a fraud, scamster and Johnny-come-lately. Once I became aware of Arindam Chaudhuri’s existence, I began to find him everywhere: in the magazines his media division published, flashing their bright colours and inane headlines from little newsstands made of bricks and plastic sheets; in buildings fronted by dark glass, behind which earnest young men imbibed Arindam’s ideas of leadership; and on the tiny screen during a flight from Delhi to Chicago, when the film I chose for viewing turned out to have been produced by him. It was a low-budget Bombay gangster film with a cast of unknown, modestly paid actors and actresses: was it an accident that the film was called Mithya? The word means falsehood, appearances, a lie—things I would have much opportunity to contemplate in my study of Arindam. Every newspaper I came across carried a full-page advertisement for Arindam’s private business school, the Indian Institute of Planning and Management (IIPM), with Arindam’s photograph displayed prominently. It was the face of the new India, in closeup. His hair was swept back in a ponytail, dark and gleaming against a pale, smooth face, his designer glasses accentuating his youthfulness. He wore a blue suit, and his teeth were exposed in the kind of bright white smile I associate with American businessmen and evangelists. But instead of looking directly at the reader, as businessmen and evangelists do to assure people of their trustworthiness, Arindam gazed off at a distant horizon, as if pondering some elusive goal. There were few details about the academic programme or admission requirements in these advertisements, but many small, inviting photographs of the Delhi campus: a swimming pool, a computer lab, a library, a snooker table, Indian men in suits, a blonde woman. A fireworks display of italics, exclamation marks and capital letters described the perks given to students: “free study tour to Europe etc. for twenty-one days,” “world placements,” “Free Laptops for all.” Stitching these disparate elements together was a slogan: “Dare to Think Beyond the IIMs”—referring to the elite, state-subsidised business schools, and managing to sound promising, admonishing and mysterious at the same time. The new India needed a new kind of university, and a new kind of attitude, and Arindam, said the ads, was the man who could teach you how to find it. Pakistan is one of the six countries which accounts for 54 percent of the UK’s (non-EU) international students. After September 2001, it has become the market leader, a place traditionally taken by the US, but the US is picking up after a long time, owing to simplified visa procedures and increased marketing efforts, not to forget the excellent scholarship opportunities that thy have to offer Pakistani students. There were 5222 students from Pakistan studying in the United States in 2009/2010 (Source:IIE Opendoors). Pakistan now has the largest Fulbright Scholarship Programme in the world. There is an upward trend of Pakistani students studying in Australia. 2557 students studied in Australia in 2009/2010 compared to 2190 in 2008/2009 (Source: AEI). Other European countries have also become quite active in marketing their education in Pakistan. Countries such as Thailand, Malaysia and Singapore are more visible and perceived as offering quality education at lower prices. UK has remained the highest in this with 10,420 students studying in the UK in 2009/2010 (HESA, 2011). Pakistan is predominantly a postgraduate market, of the students currently studying in the UK, approximately 71 per cent are postgraduate and 29 per cent undergraduate. While the further education market is still relatively small, there is potential for growth, as there is a greater need for skills in a more service sector-led economy. One-year Master's programmes are popular, due to their shorter duration compared to competitors. A further major aspect of the postgraduate market is the relatively wide availability of scholarships by UK institutions and Government funding agencies. In addition to the Pakistan Government‘s new overseas scholarship schemes, this target group also has access to scholarships offered by international organisation such as IMF, Commonwealth and World Bank. Popular subject areas are for 2009- 2010 are Business Studies, Engineering, Computer Sciences, Social Sciences followed by law. Based on HESA statistics, the total number of Pakistani students enrolled in the UK was 10,420 in 2009 / 2010, a 2 percent growth on 2008/2009. There is also significant growth in GCE O- and A-levels conducted in Pakistan, which naturally leads to demand for UK undergraduate study. More than 46,000 students took these examinations in 2010 / 2011. Popular subjects include business, law, accountancy, IT, management and engineering. Foundation programmes have a market in Pakistan as a pathway from 12-year study into UK higher education. In the 1990s, the drive (Delhi-Simla) would take eight hours. In 2009, it took about 11, and this autumn it took almost 12. Stretches of the road, especially those near small cities, resembled four- lane highways anywhere in the world. Elsewhere, passing through roadside settlements, the road shrank to a single lane; and here the queues built up, the air grew thick with dust and exhaust, and road rage erupted out of even the air-conditioned vehicles. I have often come across these soft forms of banditry on the country roads of Uttar Pradesh and Bihar, two of India’s poorest and most populous states. The only difference here was that the young men seemed better educated, more resourceful and authoritative. One of the groups that stopped us near the Indian capital, less than a mile from an authentic police checkpoint, even had a jeep with the words “Delhi Municipal Toll” painted on the windshield. Bleak employment prospects and a general social breakdown - - of morality no less than law and order -- were pushing them into a career of crime. Their brazen modus operandi in one of the country’s richest regions hinted that India’s “demographic dividend” was more likely to boost crime rather than gross domestic product. Primary education standards in India are as bad as in Papua New Guinea and crisis-torn Afghanistan and Yemen, according to a team of Indian development economists. In a study of schools in the country’s most populous states they found that fast-paced economic growth has failed to improve India’s basic educational standards over the past 15 years. The Public Report on Basic Education Revisited showed some children were unable to read after three years of schooling across the Hindi-speaking northern belt. According to Jean Drèze, one of the report’s researchers and a prominent Indian policymaker, India now finds itself in an adult-literacy peer group that includes Afghanistan, Papua New Guinea and Yemen. The ratio of students to teachers in Indian primary schools was three times higher than in China, with a typical class in Bihar, one of the poorest states, having as many as 92 pupils. There are 5.5m teachers in India, but at least 1.2m more are required. “The reason there aren’t any teachers in school is because states have not recruited them for many years,” said Kapil Sibal, minister of Human Resources Development. The report’s authors said that it had taken years to analyse and verify data collected in states such as Rajasthan, Madhya Pradesh, Uttar Pradesh and Bihar. One team member, A.K. Shiva Kumar, said that he and his colleagues had also reviewed educational data for the 2009-2010 year and found them to be “identical” to those of 2006. 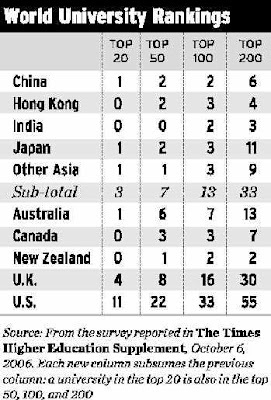 The UN Development Programme’s Human Development Report for 2010 said Indians received just 4.4 years of schooling on average, compared with 7.5 years for China’s citizens. Sri Lanka outscores both with 8.2 years of schooling and is on par with China’s 99 per cent literacy rate for young female adults. Meera Samson, a researcher at the Delhi-based Collaborative Research and Dissemination and report co-author, said head teachers had not been appointed at 20 per cent of the schools surveyed. At another 12 per cent of schools, only one teacher had been offered a position. Last year, India’s parliament passed legislation requiring the state to provide universal education. Our pedagogies and entire school systems are designed to feed a specific type of learning- generically known as learning by rote. We teach and learn for the assessment. And assessments, if they are to be standardized and defensible are often merely linear tests of information, not knowledge. The traditional education system is often berated for belonging to the industrial age - where a standard product needs to be created, using standardized processes, where products move along an assembly line, from one level of preparedness to the next. Till finally, the product is ready for the job market. This is clearly a utilitarian view of education, where we need to feed the machinery of the present with efficiency, and for efficiency. The meaning of the word learning has been debated and measured in literature largely via assessments. And yet, the purpose of education is often stated in more lofty terms - growth, progress, development; thought and society among others. Yet, our assessments do not reflect the stated purpose of education. While we practice and acknowledge that our teaching is geared to our assessments, and we also measure individual and systemic success via the same assessments, it becomes incumbent on us to focus our efforts on designing those assessments well. Learning for each of us means different things. For some it means proficiency in the classic 3 R's - reading, writing and arithmetic. For others it is reflected in the ability to pass exams, or, in the number and range of competitions won. for some, it is the ability to carry an argument forward, to a cohesive end that demonstrates learning, while for people like me, it is clearly the ability to make good decisions that signifies that good learning has taken place. For some, learning is about good values- both at work and as a human being. There are no South Asian universities in Top 200 QS list this year. There are several Indian (IITs) and one Pakistani university (NUST) in top 500. Pakistan is a part of India and P V Narasimha Rao is the Prime Minister of the country, this is being taught to school students in some states, according to a member of Parliament. AIADMK member S Semmalai highlighted this in Lok Sabha today while referring to the controversy over Ambedkar cartoon in CBSE textbooks during a discussion on Central Educational Institutions (Reservation in Admission) Amendment Bill, 2011. "In the CBSE textbooks of Karnataka, it is mentioned even now that Pakistan is a part of India. It went on to state that American constitution is based on capitalism. Class-III students of Urdu medium in Andhra Pradesh are taught that P V Narasimha Rao is the Prime Minister of the country," Semmalai said, evoking laughter all around the House. Finding further faults with the textbooks, he said, "In the CBSE textbooks, a forest is defined as a group of trees and heavy industry is defined as one where heavy type of raw materials are used." He lamented, "If this is the quality and stuff that we provide to our students, one can imagine what will be the standard of our students. "Unless we make concerted efforts to allocate six per cent of the GDP to education, our goal will remain unreachable," he added. The annual ritual where Indians demonstrate they are smarter than all other Americans is the National Spelling Bee. So dominant are the Indians in this school competition that they have been winners eight times in the last 10 years. If anything, this trend is becoming even more pronounced. Indians took the first spot in each of the last five years and all three top places in this year’s contest that finished on May 31. What explains this total dominance of Indians, who are only one per cent of America’s population? It is hardly the case that we speak or write English better than Europeans or Americans. How are Indians so good with difficult words? The online magazine Slate explored this subject in 2010 in their “Explainer” column. The writer concluded that the effort of an organisation called the North South Foundation was responsible. This body of expatriate Indians conducted local spelling and other contests that made Indian children better. These contests were very competitive, therefore, giving Indians both experience and an edge when they took the national stage. The Slate writer doesn’t explore why it is that Indians are so enthusiastic about this particular contest in the first place. The fact is that it plays to their strength, which is learning by rote. Memorising tracts is and has always been the Indian way of acquiring knowledge. It is also the way in which learning is examined in Indian schools. Answers to questions about history, geography and even science that aligned word for word with what the textbook said got you full marks when I was a child, and this hasn’t changed. Indians have a word in each of their languages for this sort of learning. It is called ratta in Hindi, for instance, and gokh in Gujarati. It refers to reading, repeatedly reciting, and thereby, memorising whole pages of prose. This may not be a good way of learning, if it is learning at all, but this has always been the case in India. Hindus developed a complex system of memorising and reciting the entire Rig Veda so that it would not be lost in the period before literacy. Even today, Indian adults consider it an act of learning to be able to put on display their ability to be mug up. Stephen Cohen wrote about this in his book India: Emerging power. He remarked that there was a difference in styles when Indian and American diplomats negotiated. Indians took pride in recounting the minutiae of events in the past, dates and background and that sort of thing. This was done, Cohen felt, for no reason other than to show that there was mastery over the subject. Americans, on the other hand, were focussed only on the issue at hand. It is true that all students, whether Indian or not, must memorise to be able to do well in America’s National Spelling Bee. A Washington Post report before the finals quoted one American child’s mother saying that her son had studied for 8,000 hours in preparation. This advantage Indians have of being able to find the time and motivation to commit things to memory is not particularly useful outside of things like spelling contests. It is of no use in thinking about problems and solutions. I would say it is the reason why the output of our colleges and universities is low on quality (India’s software body NASSCOM says nine out of 10 Indian engineering graduates who apply to one of the big four software firms are rejected as being unemployable). So while India’s dominance of the National Spelling Bee puts on display its middle class values, it also showcases the problems of its system of education. His account is anecdotal evidence of what human resource experts, corporate leaders and countless surveys have been highlighting over the past few years - that despite India's huge talent pool of graduates, few are equipped with skills to be gainfully employed. For India however, the reality on the ground couldn't be more different. "It is not unusual to see graduates employed as security guards, driver or waiters in restaurants, given the poor standards of education. So what demographic dividend are we talking of? The generation coming of age in the 1920s faces the greatest underemployment ever in history," said Anil Sachdev, a human resources specialist and career coach. 10. Changes way too often. 9. Just eat it and puke. The actual implementation of techniques learned right from school through grad school is practically absent. The techniques we learn are bookish knowledge. The charts we make as projects have little or no significant relation with the education process. The Grad school experience of engineering starts with diagrammatic representation of gramophone and ends with advanced technical drawings. We are too rigid to enter into the real world. And the substantial time we waste into the drawings is something we need to divert into practicality. Life will be easier then. 7. Pit us against each other. From an early age, we are taught that there is only one and one winner alone. We fight for that top slot in class, the trophy, the race, the position of the leader, best sportsman and everything. We befriend people based on the ranks and grades. This instinct continues into our college days, our bachelor’s degree and further into our lives. Sportsmanship is not a strong suit taught in the education institutes for we are only taught to run the race to bet others not to win. 6. No unity in this diversity. The Indian scenario plays an important role in our education culture. Few districts and states are notoriously famous for their tolerance of the cheating, proxies and free degrees. The system is degraded and this leads too many feeling cheated of fair competition. The paper checking method is laughable. The environments of private schools and colleges are closed to government watches giving them excess liberty. We learn politics right from school just by experience, ignorance protects us. We are taught the computer in 3rd grade around. We learn basic languages which are practically off the market. The syllabus of computers was something we barely made through. The course included techniques so old that it is practically obsolete in this day and time. The comparison with western country will put us to shame. The kids there are in sync with technology from age of 3. We need to step up our games. We still write every single word and submit the papers . At-least the Grad and PG level demands the use of computers and laptops in the everyday classes. We need to start refusing papers and start going digital.The world is going digital and we are being left behind. Indian Education system needs to incorporate these changes in its system and fast! Studies show that even the engineers can’t spell out properly. They are weak in Basic English and this is after clearing four year grad school in the same language. How many of us have given up on arts and crafts and dance and sports due to education and board exams. India’s epidemic of lousy engineering colleges, which churned out millions of substandard engineers, may finally be ending. The country’s technical education regulator, All India Council for Technical Education (AICTE), is planning to reduce over 600,000 engineering seats in colleges across India. “We would like to bring it (engineering seats) down to between 10 lakh and 11 lakh (one million and 1.1 million) from a little over 16.7 lakh now,” Anil Sahasrabudhe, chairman of the AICTE, told the Mint newspaper. The dismal quality of education at many of the country’s existing engineering colleges is one of the main reasons behind AICTE’s decision. The regulatory body plans to close down certain colleges and reduce the number seats in some others over the next few years. “It is the colleges that are coming forward for closure. We are facilitating closure if the colleges are not able to manage with hardly 20-30% seats filled because these colleges become non-viable,” Sahasrabudhe told Quartz in an email. This year alone, about 556 engineering courses or departments across colleges in India have closed down, according to AICTE. Engineering has been one of the most sought after professions in Asia’s third largest economy, where more than a million engineers graduate every year. India saw a boom in technical education after it opened up its economy in 1991, which allowed the IT sector to thrive. The mid-1990s saw a huge spike in the number of engineering graduates, as the demand for them increased in sectors ranging from IT to infrastructure. The phenomenal rise in engineering degrees also lead to a boom in the technical education sector with private colleges mushrooming all across the country. In the 2015 financial year, India had 3,389 graduate engineering colleges (pdf). But the quality of engineering graduates in India is woeful. In fact, in 2011, Nasscom, the trade association of IT and business processing units, had estimated that only 25% of India’s IT engineering graduates were actually employable. The result is that many graduates can’t find employment after earning their degrees. Last year, a study by Aspiring Minds (pdf), a firm that rates and evaluates employment, said that only 18.43% of the total engineers who graduate every year are employable in the IT sector. Only 7.49% are employable in core engineering jobs like mechanical, electronics and civil engineering. Leading companies in technology and other sectors prefer to hire students only from a handful of engineering schools such as the the Indian Institutes of Technology (IITs), National Institutes of Technology (NITs) and some private institutions. #Modi's (and his cabinet's) poor education, #India's great educational divide fueling anti-#Muslim bigotry, hate? In India, the Congress Party was liberal, left-leaning and secular; but it was also the party of the colonized elite. That meant that practically everyone who was rich, and educated, and grew up speaking English, was also invariably a supporter of Congress. Poisonous as these attitudes are, they have much more to do with class than politics. They are so obviously part of the vulgarity that accompanies violent social change. If the great drama of our grandparents’ generation was independence, and our parents’ that post-colonial period, ours represents the twilight of the (admittedly flawed) English-speaking classes, and an unraveling of the social and moral order they held in place. A new country is seething with life, but not all vitality is pretty, and there now exists a glaring cultural and intellectual gap between India’s old, entrenched elite and the emerging electorate. In other places, education would have helped close the gap; it would have helped the country make a whole of the social change it was witnessing. No society is so equitable that men as economically far apart as Bill Clinton and George W. Bush — or as Ed Miliband and David Cameron, for that matter — would have attended the same schools. But, in England and America, there is Oxford and Yale to level the field, to give both men the means to speak to each other. This is not true of India. In India, one class has had access to the best private schools and foreign universities, where all the instruction is in English; the other has had to make do with the state schools and universities Indian socialism bequeathed them. The two classes almost never meet; they don’t even speak the same language. It has left India divided between an isolated superelite (and if you’re an Indian reading this, you’re probably part of it!) and an emerging middle class that may well lack the intellectual tools needed to channel its vitality. Late last year, India’s president, Pranab Mukherjee, told a conference on industry-academic interaction that if India provides “enough funds to [the] top 10 to 15 institutions for the next four to five years, these institutions will certainly storm into the top 100 of global academic rankings within [the] next few years”. Unfortunately, his optimism is misplaced. That laudable goal will be difficult, if not impossible, to achieve in the short or medium term. India’s higher education and research sectors have, for decades, been underfunded, especially in view of the tremendous growth in student numbers. Compared with the other BRIC countries, the proportion of Indian gross domestic product spent on education – 4.1 per cent – is second to Brazil. But India is bottom for research expenditure, committing just 0.8 per cent of its GDP, and it educates the lowest proportion of the relevant age group. So despite now having the largest higher education system in the world after China, the public and political clamour for more expansion is immense. Indian higher education is also poorly organised to create world-class universities. No state government has a vision to do so, and none provides adequate funding to maintain high standards. The central universities are better funded and do not share with the state universities any of the immense, globally unique responsibility for supervising India’s 36,000 colleges. But they are still beset by a range of factors that make institutional change extraordinarily difficult. These include excessive bureaucracy, a promotion system that pays little attention to productivity and the occasional intrusion of local politics on to campus. This explains India’s tendency, when it wants to innovate in the sector, to create new institutions, such as the Indian Institutes of Technology, the Tata Institute of Fundamental Research or the Indian Institutes of Management. But doing this requires time and immense resources – and leaves the vast majority of the system wallowing in mediocrity. Whatever the approach, creating world-class universities requires careful thought and planning, as well as considerable funding over the long run. India will need to consider whether it has the resources. If recognition in the global rankings is a goal, the challenges are even greater because the rankings are a moving target. There can be only 100 institutions in the top 100, and several other countries, such as Russia, Japan and China, are also spending big on their top universities. India is very much a latecomer to the world-class party. Jamil Salmi and I analysed the experiences of 10 successful new universities in our 2011 book The Road to Academic Excellence: The Making of World-Class Research Universities. We found that while money is necessary, other elements are just as vital. One is a governance model that involves significant participation from – but not total control by – academics. Another is strong leadership: not only a visionary president but also competent administrative staff able to implement the university’s mission. A third element is enough autonomy to prevent the interference of governmental or private authorities, combined with reasonable accountability to external agencies. A fourth is top academic staff who are committed to the university’s mission (including teaching), paid adequately and provided with appropriate career ladders. Also important are academic freedom, highly qualified and motivated students, and a firm commitment to meritocracy at all levels. unless India makes big improvements in how it educates and trains students, this demographic boom could instead saddle the country with another generation of unskilled workers destined to languish in low-paying jobs. The need to train workers up -- and quickly -- is paramount. Currently only 2% of India's workers have received formal skills training, according to Ernst & Young. That compares with 68% in the U.K., 75% in Germany and 96% in South Korea. It's a problem spread across industries. The Royal Institution of Chartered Surveyors estimates that in 2010, India needed nearly 4 million civil engineers, but only 509,000 professionals had the right skills for the jobs. By 2020, India will have only 778,000 civil engineers for 4.6 million slots. There is a similar gap among architects. India will have only 17% of the 427,000 professionals it needs in 2020. The problem? The RICS found that India's education and professional development system has not kept pace with economic growth and is in "dire need for reform." In industry after industry, the same story is repeated. A recent survey by Aspiring Minds, which tracks workforce preparedness, found that more than 80% of India's engineering graduates in 2015 were "unemployable." "The quality of training offered in most colleges is not at par with the high demands generated by tech industries," said Preet Rustagi, a labor economist at the Institute for Human Development. "There is no regulatory body that keep checks on the quality of education." Critics say India's universities are too focused on rote memorization, leaving students without the critical thinking skills required to solve problems. Teachers are paid low salaries, leading to poor quality of instruction. When students are denied entry to prestigious state schools, they often turn to less rigorous private colleges. "When IT industries boomed in India a few years ago, many below-the-mark private colleges emerged to cater to their needs," said Alakh N. Sharma, director at the Institute for Human Development. Prime Minister Narendra Modi is racing to provide workers with training. His government is recruiting skills instructors, and turning old schools into learning centers. Programs strewn across various government agencies are being consolidated. Companies in the private sector are pitching in to help provide training. The most pressing need, however, might be in primary education. Pupils in India are expected to perform two-digit subtraction by the age of seven, but only 50% are able to correctly count up to 100. Only 30% of the same students are able to read a text designed for five-year-olds, according to education foundation Pathram. If the country's unique demographics are to pay dividends, improvement is a lesson to be learned quickly. In a country with the world's heaviest health burden, and highest rates of death from treatable diseases like diarrhea, tuberculosis and pneumonia, corruption at medical schools is an extremely pressing issue. The Indian Medical Association estimates that nearly half of those practicing medicine in the country do not have any formal training, but that many of those who claim to be qualified may actually not be. a couple of recent studies and reports have cast serious doubts on the quality and ethics of the country's vast medical schooling system. The most recent revealed that more than half of those 579 didn't produce a single peer-reviewed research paper in over a decade (2005-2014), and that almost half of all papers were attributed to just 25 of those institutions. The 2011 court case against a man, Balwant Arora, was one of the earlier indications of the massive levels of fraud. Arora brazenly admitted to issuing more than 50,000 fake medical degrees at around $100 apiece from his home, saying that each of the recipients had "some medical experience" and that he was doing it in service to a country that desperately needs more doctors. He had served four months in jail in 2010 for similar offences. Private medical colleges have proliferated rapidly in India. When in 1980 there were around 100 public colleges and 11 private, the latter now outnumber the former by 215 to 183. Most are run by businessmen with no medical experience. Last January, the British Medical Journal found that many private medical colleges charged "capitation" fees, which are essentially compulsory donations required for admission. Jeetha D'Silva, who authored that report, wrote, "Except for a few who get into premier institutions of their choice purely on merit, many students face Hobson's choice — either pay capitation to secure admission at a college or give up on the dream of a medical degree." The best public medical colleges have acceptance rates that are minuscule, even compared to Ivy League universities. Those colleges also tend to be the ones that produce the most research papers, as well as handle the most patients, which would seem to eliminate the possible excuse that overwhelming patient burdens prevent private colleges from producing valuable research. The most productive medical college in India is also its largest public health institution, the All India Institute of Medical Sciences, or AIIMS. In the 10-year period that Samiran Nundy and his colleagues examined, AIIMS published 11,300 research papers. For context, that is about a quarter of what Massachusetts General Hospital produced in the same time frame. "A large number of them cannot be trained. Probably, India will witness the largest unemployment in the middle level to senior level," he said at the annual Nasscom le ..
Bengaluru’s startup ecosystem is what it is because of its engineers. With an average annual salary of $8,600, engineers in India’s tech hub cost 13 times less than their Silicon Valley counterparts, according to the 2017 Global Startup Ecosystem Report released on March 14. The city is home to the world’s cheapest crop of engineers, with the average annual pay of a resident software engineer falling well below the global figure of $49,000. And companies, Indian and otherwise, choose to work out of Bengaluru because it is the most cost-efficient. Not only has the tech center nurtured startups like Flipkart and Big Basket, it is also home to big foreign firms like Uber and Amazon. However, the city’s talent pool poses challenges in access and quality. For the most part, “engineers haven’t been hired very quickly, experience is average, and visa success is low,” the report says. “The quality and professionalism of resources is also questionable in many cases,” Abhimanyu Godara, founder of US-based chatbot startup Bottr.me, which has a development team in Bangalore, said in the report. The city, home to between 1,800 and 2,300 active startups, also has the youngest tech talent among all startup ecosystems. Overall, Bengaluru bagged the 20th spot out of 55 cities when evaluated on parameters such as performance, funding, market research, talent, and startup experience by research firm Startup Genome and the Global Entrepreneurship Network. Despite dropping five ranks from last year, it remains India’s favorite tech hub. When considering Indian engineering talent, quantity trumps quality. Indian universities may be churning out the world’s largest engineering population, but the graduates’ skills levels aren’t high. In 2011, India’s National Association of Software and Services Companies estimated that only 25% of India’s IT engineering graduates were employable. Six years on, the talent pool is still in dire straits. “Only 4.77% candidates can write the correct logic for a program, a minimum requirement for any programming job,” a recent Aspiring Minds study of over 36,000 engineering students in India revealed. The employability assessment company tested students from IT-related streams of study at more than 500 colleges across India on Automata, a machine learning-based assessment of software development skills. “The IT industry requires maintainable code so that it is less prone to bugs, is readable, reusable and extensible,” the study notes. “Time efficient code runs fast.” Only 1.4% of programmers surveyed could create code that was functionally correct and efficient, meaning it does what it’s supposed to do and in a reliable and speedy manner. More than two-thirds of the candidates from the top 100 universities in the country were able to write “compilable code,” or that which does not throw errors when compiled into machine-readable code. In the rest of the colleges, only 31% of students were able to write compilable code. One reason for the poor performance is the dearth of good instructors as well as misaligned college curriculums. “The school curriculum focusing on MS-Word, Powerpoint, Excel, etc., rather teaching programming using elementary languages such as Basic and Logo is also the culprit,” said Varun Aggarwal, the co-founder and chief technology officer at Aspiring Minds. These are difficult days for Indian techies, and it’s not going to get much better. On April 21, reports suggested that Wipro, India’s third-largest information technology (IT) company, has laid off up to 600 employees. Meanwhile, US-based Cognizant is reportedly considering laying off 6,000 in India, where the bulk of its workforce is stationed. Earlier this year, Infosys, the country’s second-largest IT firm, acknowledged that it was “releasing” nearly 2,000 employees every quarter, and cutting back on recruitment. And this may be only the beginning of the bloodbath. For some time now, the $150-billion Indian IT industry, which directly and indirectly employs some 10 million people, has been bracing for a crisis. India could lose 640,000 low-skilled jobs in the industry by 2021, HfS Research, which analyses business operations and IT services, had warned in 2016. This was mainly because non-customer facing positions such as IT support jobs would likely be automated. In a February 2017 study, consulting firm McKinsey estimated that about half of the 3.9 million employees of Indian IT services companies would become “irrelevant” within the next four years, again thanks to automation. And NASSCOM, the Indian IT industry’s trade lobby, also expects at least a 20% reduction in jobs available in the sector over the next three years. But re-skilling at that scale is easier said than done. Some 65% of the workforce in the sector just cannot be re-trained, reckoned Srinivas Kandula, head of French IT company Capgemini’s Indian operations. “Probably, India will witness the largest unemployment in the middle level to senior level,” Kandula, who has around 100,000 employees in the country, said at a NASSCOM event in February. Hyderabad, the southern Indian city that sends the largest number of STEM students to the US, is home to India’s worst techies, a study has noted. Software engineers from the city lag much behind those from other Indian cities when it comes to programming skills, a recent Aspiring Minds study of over 36,000 engineering students in India showed. The employability assessment company tested students from IT-related streams at over 500 colleges across India on Automata, a machine learning-based assessment of software development skills. The study analysed students on their programming skills, practices, and ability to handle runtime complexity—the time taken to run a program. Hyderabad had a total score of just 3.49 on 100 while New Delhi had 23.48 and the Mumbai and Pune regions together had a score of 17.51. Hyderabad, home to over 6.8 million people, is the common capital of two Indian states, Andhra Pradesh and Telangana. Over the past decade or so, it has turned into a hub for thousands of students aspiring to enter the prestigious Indian Institutes of Technology. Between 2008 and 2012, it sent over 26,000 students to the US, most pursuing science, technology, engineering, or mathematics (STEM) degrees, a Brookings Institution report (pdf) said. In 2015—the year for which the latest data is available—the US government issued around 60,000 visas to Indian students, with a large number being issued by the US consulate general in Hyderabad. India is believed to be churning out the world’s largest number of engineers every year at over one million, but the graduates’ skill levels have remained poor. “Only 4.77% candidates can write the correct logic for a program, a minimum requirement for any programming job,” the Aspiring Minds study had noted.